Townsville medico and academic Geoff Dobson, who holds a Professorial Chair in the School of Medicine and Dentistry at James Cook University. A DRUG being developed by Townsville doctors could be a lifesaver for people who suffer traumatic injuries in rural areas. 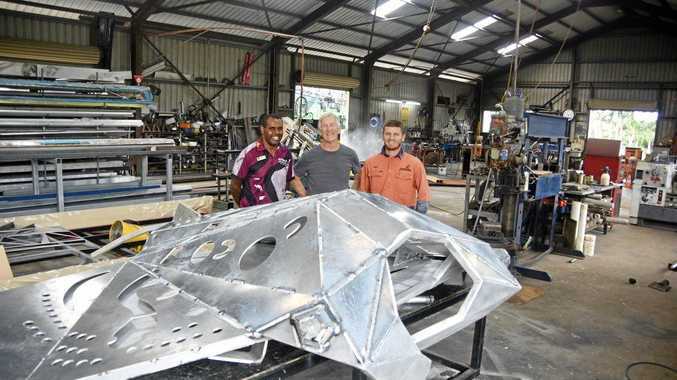 James Cook University's Professor Geoffrey Dobson and Hayley Letson have spent a decade developing the drug ALM, to slow internal bleeding and buy precious time for trauma victims. The team has been working with the US military to develop the drug for combat situations but Prof Dobson said the drug would be directly applicable to rural health. When a person suffers a major traumatic injury they have what doctors refer to as a "golden hour". But in remote areas, critical medical treatment may be hours away. "The 'golden hour' of trauma care is often a meaningless concept in many tropical regional, rural and remote communities," Prof Dobson said. "The real killer is time, Queensland is so vast. It's exactly the problem they have in the military." Prof Dobson said ALM could buy patients up to 72 hour. "There's a need to stabilise patients, that's the big gap that currently exists," he said. "ALM resuscitates patients after massive haemmorage (caused by) farm accidents, car accidents or childbirth. "Once the patient is resuscitated, you've got to be able to stabilise them for many hours before the aircraft arrives." Recent tests by Prof Dobson and Ms Letson showed the drug reduced internal blood loss by 60 per cent over five hours. Safety trials are under way and next year it's expected that the drug will be trialled on trauma patients at Cooper University Hospital in the US state of New Jersey. The location has been chosen for its proximity to the city of Camden, which has a high rate of violent crime. Prof Dobson said the drug may be on the local market within a few years. 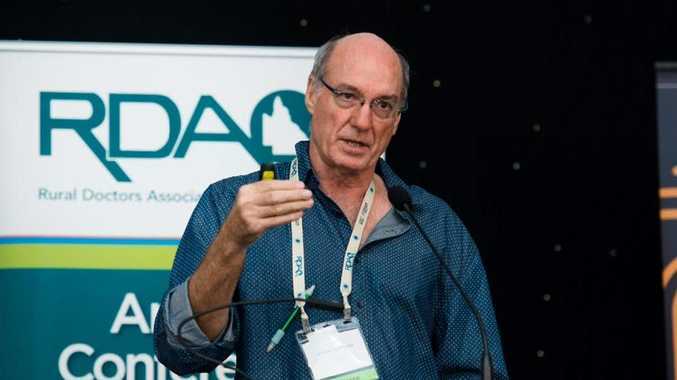 He discussed his research as keynote speaker at the annual Rural Doctors Association of Queensland conference held in Townsville at the weekend. Outgoing RDAQ president Dr Michael Rice said Prof Dobson's research findings were "absolutely fascinating". "He has found a relatively simple cocktail of common medications that seem to have application in human trauma," he said. "That has the potential to save lives in the military setting and rural settings. "In a state as big as Queensland, where accidents and injuries occur many hours from medical treatment, that could be really important." Dr Rice said the findings could change the "whole approach" to trauma care. "The fruits of his research are very likely to go global if they deliver on what they promise," he said. "It's exciting to know that such important research is being done on our doorstep."